There are 4 cat videos tagged with goat. According to Cody the cat, kisses make any boo-boo better. A rescue found with Feline Herpes and Shunt disease, Cody’s recovery is something he wants to see for other animals. Iker, a week old goat, was rescued with a broken leg after a farmer decided killing him wasn’t profitable. Arriving feverish, dehydrated, and refusing to eat, Iker got so much attention from Cody that he eventually shouted at him to go away. That won’t stop Cody from smothering him with all the help he has to offer. 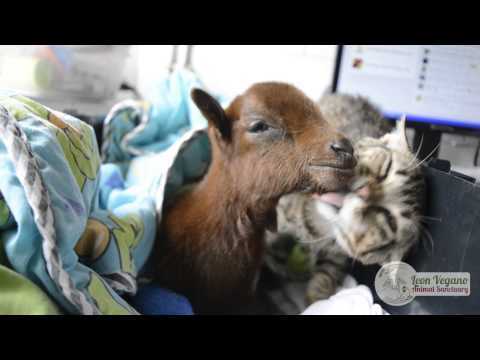 A tiny kitten and a pygmy goat go all out in a battle of courage. 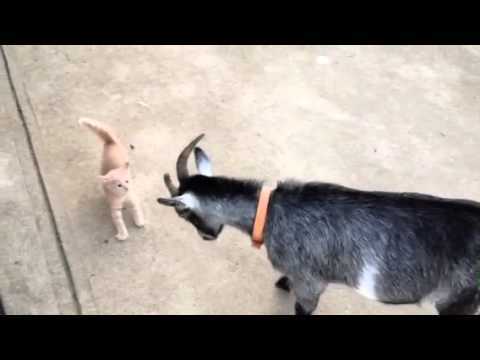 The kitten holds his own against the much bigger goat, even scaring it from time to time. Go kitten! 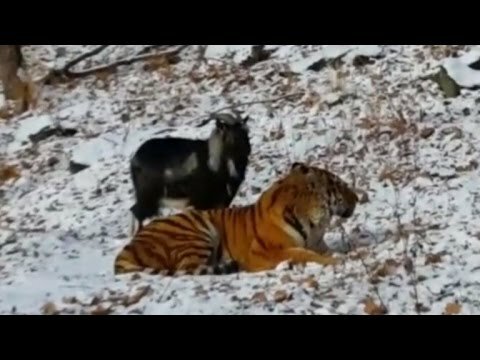 I’ve heard of tigons and ligers… but a coat? Pickles may as well be part goat because this tiny little kitten has makes the weirdest sound imaginable. 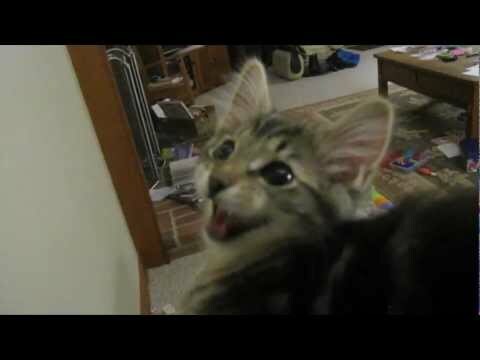 Cat owners have given this video a hard listen in an effort to determine the odd origin of Pickles’ signature meow. But the most accepted theory is that Pickles is, in fact, making a bird call. That’s right. Pickles is learning to use a bird call so that he can hunt more efficiently. He just happens to be very talented at it.